Peach Garden Noodle House is run by the people behind the famous Chinese restaurant chain Peach Garden. 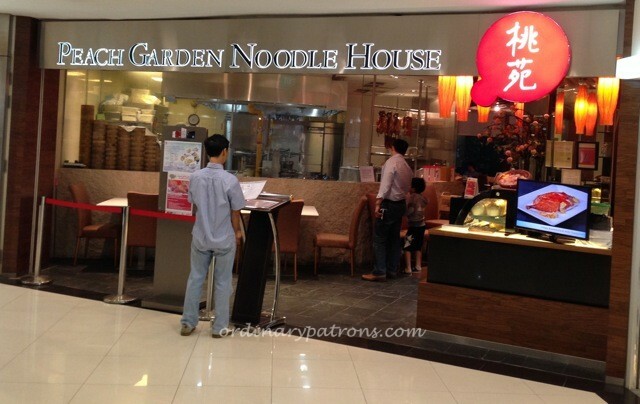 Their noodle house concept offers a more casual and affordable option for Chinese food. Their outlet in the White Sands Shopping Centre in Pasir Ris is located on the third floor. It is quite a large restaurant considering the relatively small shopping mall. The decor and service standards are typical of many similar restaurants – clean, efficient layout and brisk service. Despite its name, this is more than a noodle house, having quite a good selection of usual Chinese restaurant dishes. There is currently an ” a la carte buffet” promotion where you can select from a large selection of dishes for only $33.80 (weekday dinner), $23.80 (weekend lunch) and $20.80 (weekday lunch). The dishes are inidividually cooked upon order and not spread out as in a normal buffet. The selection seems to be substantially their usual menu, so this would be a good deal for those with a good appetite. Be warned however that a wastage surcharge is levied on unconsumed food! 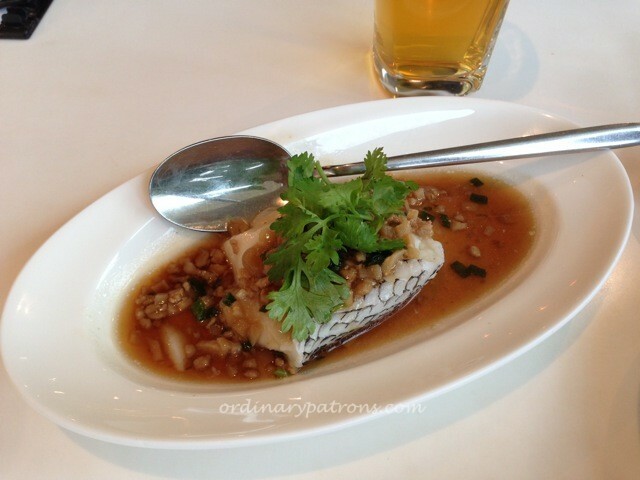 We, being ordinary patrons with small appetites decided to order some classics – poached spinach in superior soup ($12.80), stewed beef brisket and tendon ($15.80) and steamed sea perch fillet ($13.80). The dishes were done in good Chinese restaurant standards. The portions were however a bit small, even by our modest appetites. The Peach Garden Noodle House in White Sands is a welcome addition to the dining options in the Pasir Ris neighbourhood. 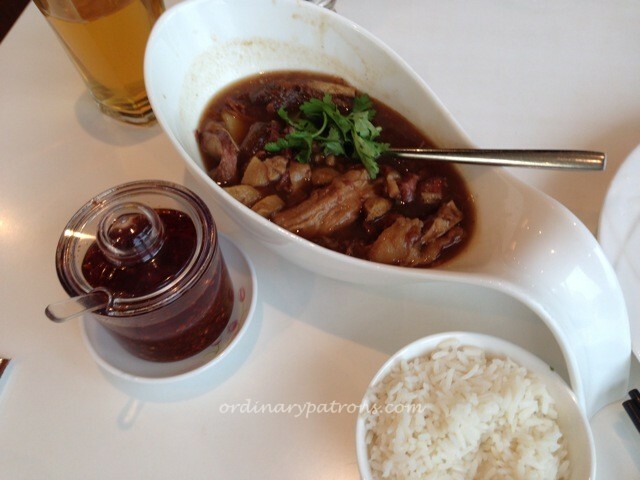 It offers the reliable Peach Garden Chinese restaurant standard in small portions which is a useful concept for those dining alone or in small groups. We would recommend going for the buffet if this is suitable for you as it does seem like good value.